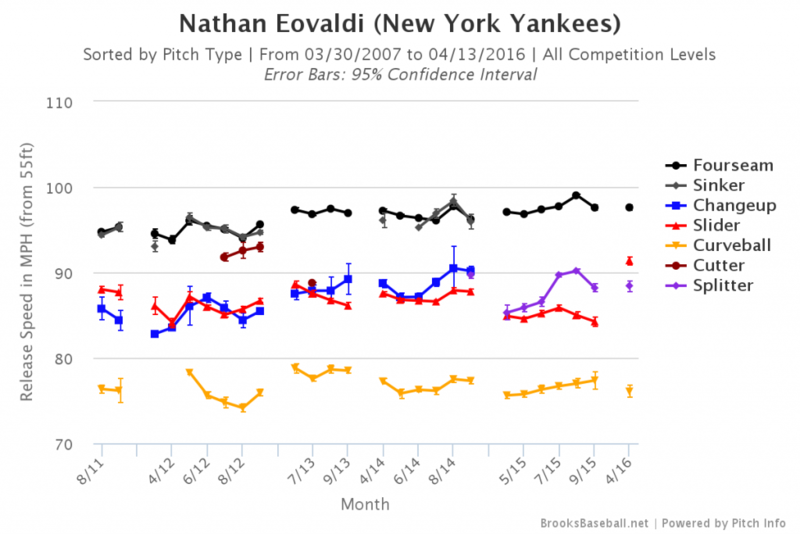 Yankees fans always hear about Nathan Eovaldi having good stuff. He does have good stuff some of the time, and it does work some of the time. But there are also times when Eovaldi’s good stuff could, and should, be so much better and when it isn’t, it’s extremely frustrating to watch. Here’s what we know about Eovaldi’s stuff: He throws the ball very hard. The only starter in baseball whose four seam velocity was harder than Eovaldi’s in 2015 was Noah Syndergaard of the Mets. Sometimes it seems like Eovaldi is the flashy writer who always uses big words to convey thoughts and theories that aren’t necessarily complex. Less is more in a lot of cases and a writer will sometimes describe something in 10 words when they easily could have done it in five. Eovaldi is the same way when he pitches. Sure, his hard pitches are great and they appear to be quite impressive when batters are swinging through them, but sometimes those looks can be deceiving because when they’re not swinging through them, they’re hitting the ball all over the place. I decided to look at every pitch he’s ever thrown in one table, just to see where he likes to pitch the most. As you can see, Eovaldi really likes pitching to the strike zone. That’s not a bad thing if you have otherworldly stuff, but Eovaldi isn’t quite there yet. Last season batters had a .276 TAv off Eovaldi, and in his one start this season, they have a .310 TAv. Small sample size, yes, but there is something else that I noticed when looking at his career numbers. Eovaldi added a splitter to his repertoire last season, seemingly out of nowhere, and as you can see below, he completely abandoned his changeup. J.P. Breen wrote back in March about Eovaldi, “For a pitcher who used to be a two-pitch guy and arguably would’ve been better suited in the bullpen, such a change in repertoire is unbelievable.” And it is unbelievable, but what needs to happen for Eovaldi to be successful is for all three of those pitches—the four seamer, the slider and the splitter—to work. If he can get his pitches to work, he may be able to last longer as a starter. 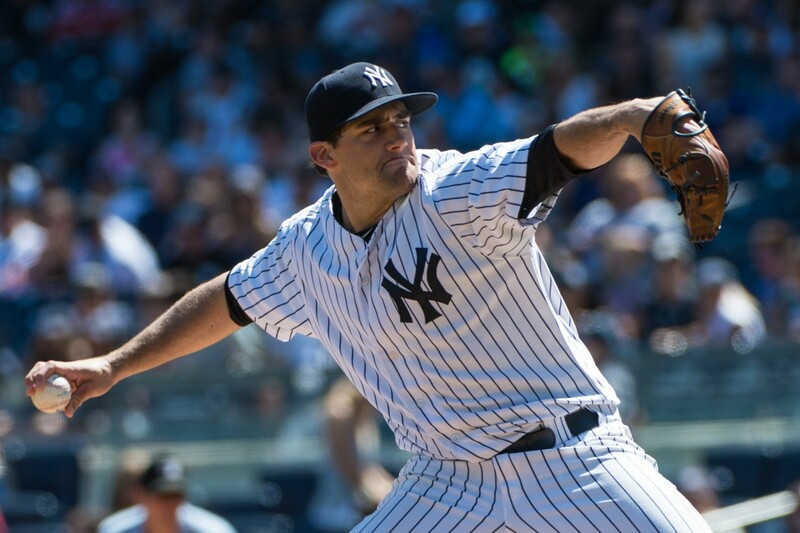 During his first start against the Astros on April 7, it was more of the same for Eovaldi: There were some flashes of greatness, some awful pitches that were hit out of the park, and he only lasted five innings because a couple of bad innings drove up his pitch count. But there was one positive that day. He didn’t walk a batter. Eovaldi didn’t allow a baserunner during the top of the first inning against Houston, but Carlos Correa’s at bat was a harbinger of things to come. Correa took Eovaldi’s fourth offering, a 90.7 mph slider that got a lot of the plate, to the warning track for a very long, and frightening third out. Eovaldi teased everyone by starting off strong in the second striking out both Colby Rasmus and Carlos Gomez. Everyone should have known better because things aren’t usually that easy for Mr. Eovaldi. He immediately ran into trouble when Luis Valbuena hit a two-out double off a 90.3 mph slider. He then ran into even more trouble when Tyler White hit an 87.9 mph splitter for a two-run home run, and Preston Tucker immediately followed hitting his own solo home run off an 89.5 mph slider. All three pitches were in the strike zone. Eovaldi also had a rough top of the fourth when he gave up a single to Rasmus, a double to Gomez and a two-run single to White. He exited the game after a 1-2-3 fifth inning to 5-4 deficit after having thrown 94 pitches. So, can Eovaldi be better? That first start is a good representation of Eovaldi’s career to-date. He’s style over substance, continuing the writing analogy, and he hasn’t quite figured out how to put it together. He’s just 26, and he’s been a league-average pitcher for his career, so there is hope for more. 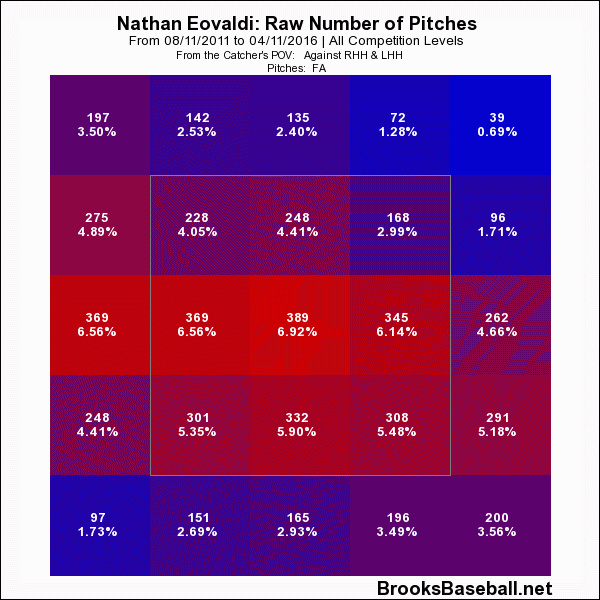 But in order for Nathan Eovaldi to be successful in 2016, he needs to learn how to mix his pitches better, and he will need his slider to slide and his somewhat new splitter to split, otherwise, this could be a very long season.